In March, Baylor Trumpets returned victorious from the National Trumpet Competition, held at Messiah College in Pennsylvania. In the large ensemble division, Baylor Green won first prize and became the first group to win this national championship three times. Members of Baylor Green are: master's candidate Tammy Vaughn; sophomores Cameron Abtahi, Chris Boulais, and John Burton; and freshmen Brian Mendez, TJ Saenz, and Sally Tepper. Baylor Trumpets also advanced their Gold ensemble and 10 soloists to the semifinals this year. 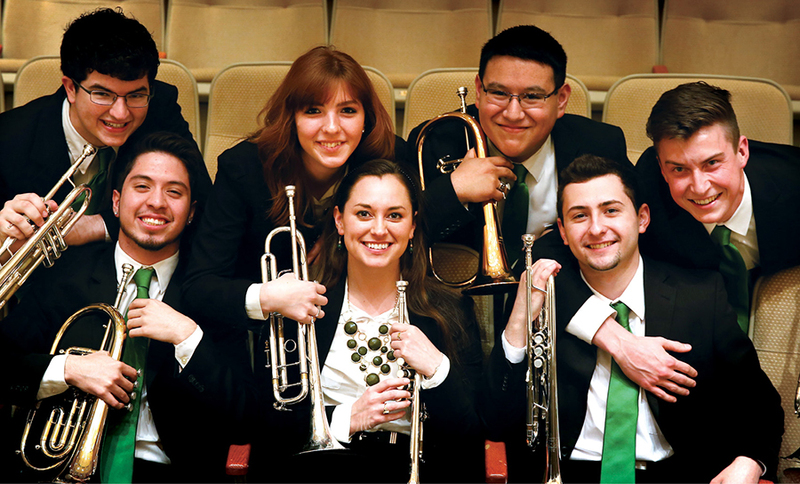 Eleven Baylor trumpet ensembles have performed at NTC since 2009. Eight have advanced to the finals with six ensembles winning prizes. 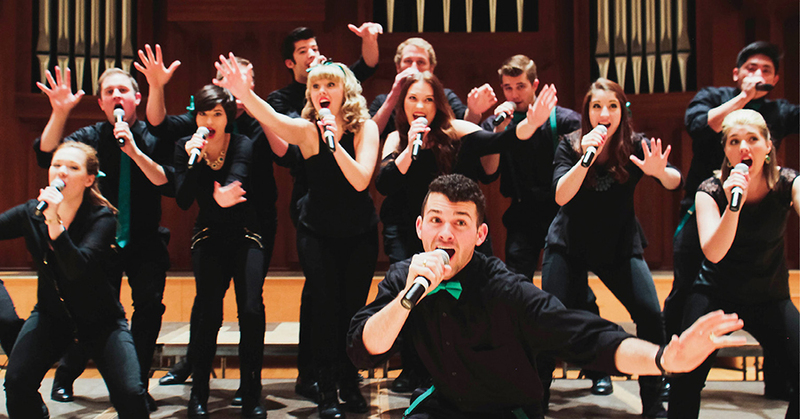 VirtuOSO, Baylor's contemporary a cappella group, won first place in the International Championship of Collegiate A Cappella (ICCA) quarterfinal competition, held Feb. 7, at the University of Tennessee in Knoxville. Their arrangement of "Best Day of My Life" received the Best Arrangement award, and beatboxer Othniel Tay won Best Vocal Percussionist honors. Virtuoso followed that win with another first place at the ICCA South Semifinal competition at the University of Florida on March 21, earning a place in the final to be held April 18 in New York City, where they compete for title of International Champion. Baylor's 14-member VirtuOSO was founded in 2013 by conductor Dinah Menger, lecturer in choral music. They are enjoying a meteoric rise to national prominence for such a newly established group.